The technology behind MMOs like Worlds Adrift and Lazarus is now being distributed for free thanks to a new partnership between Google and Improbable, the developer of SpatialOS. It’s a framework for creating games that can handle thousands of players in single locations, allowing for massive battles, city simulations or whatever else you can think of. Its now entered a public, open Alpha that anyone can access. Related: the best MMOs ever made. The partnership with Google comes down to them providing their cloud tech to let it all work, as well as subsidising the access for developers. It won’t be free forever, but the alpha version allows for small-scale experiments as they work out the kinks. Swarms of hundreds of game engines allow for larger and “richer” worlds. Rapid iteration and development of large MMOs should be easier, as well as letting developers focus on world-building and game design over server inferstructure. Improbable also note that the Google Cloud is vital to ensuring low latency, long uptimes and everything else you’d expect out of any MMO server. 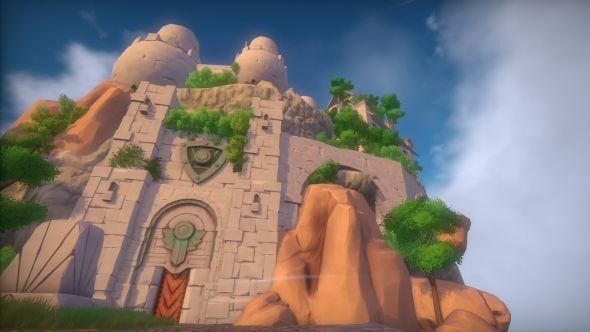 The alpha is available over on the official site and, as noted, has already been used in the development of Bossa’s Worlds Adrift. No word on the pricing plans of the full version, so maybe don’t hook everything you’ve got into it quite yet if you’re a developer. As for players, it’ll likely be a long while until we see the impact of tech like this, but it’s good to know what’s on the horizon.